UFO fleet or weather phenomenon? A still captured by the Coast Guard in Salem, Massachusetts in July, 1952. 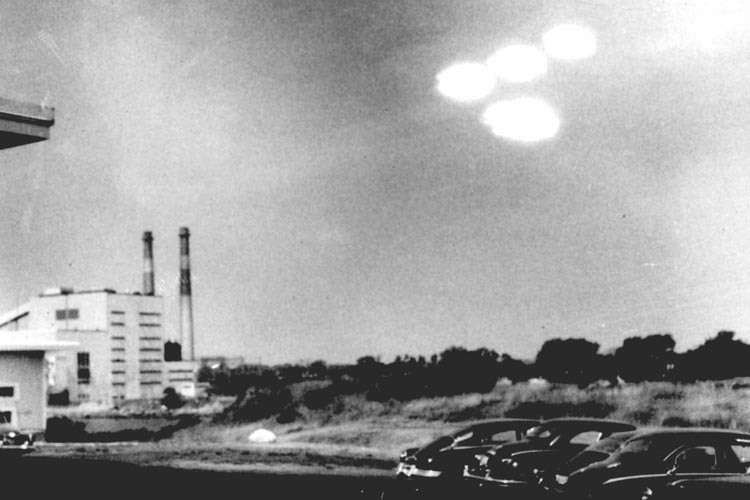 A wave of similar UFO sightings gripped the nation throughout 1952. 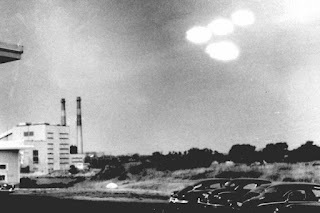 The most famous sightings occurred over the Capitol Building from July 12th to the 29th. It became known as "The Washington Incident."